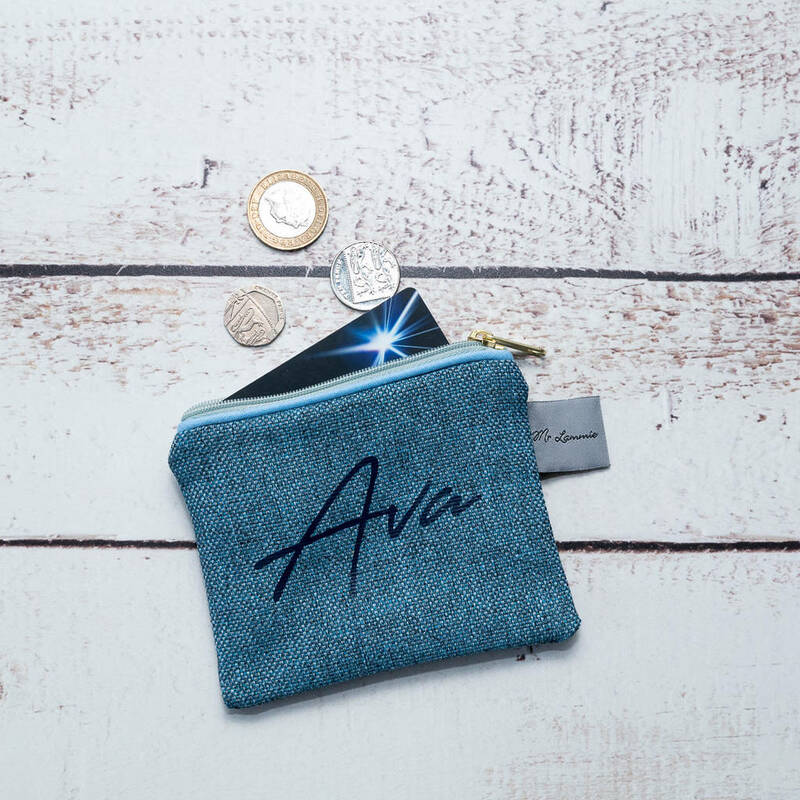 This personalised signature coin purse is made from recycled plastic bottles. 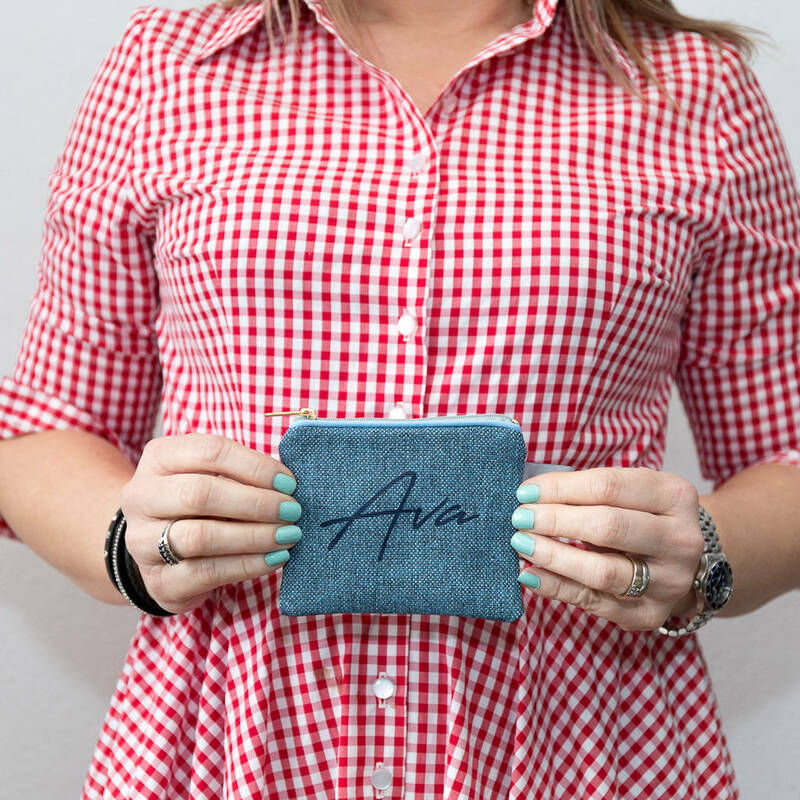 Personalised for you. The Beautiful little coin purse has been handmade in the UK causing minimum human impact on the enviroment. 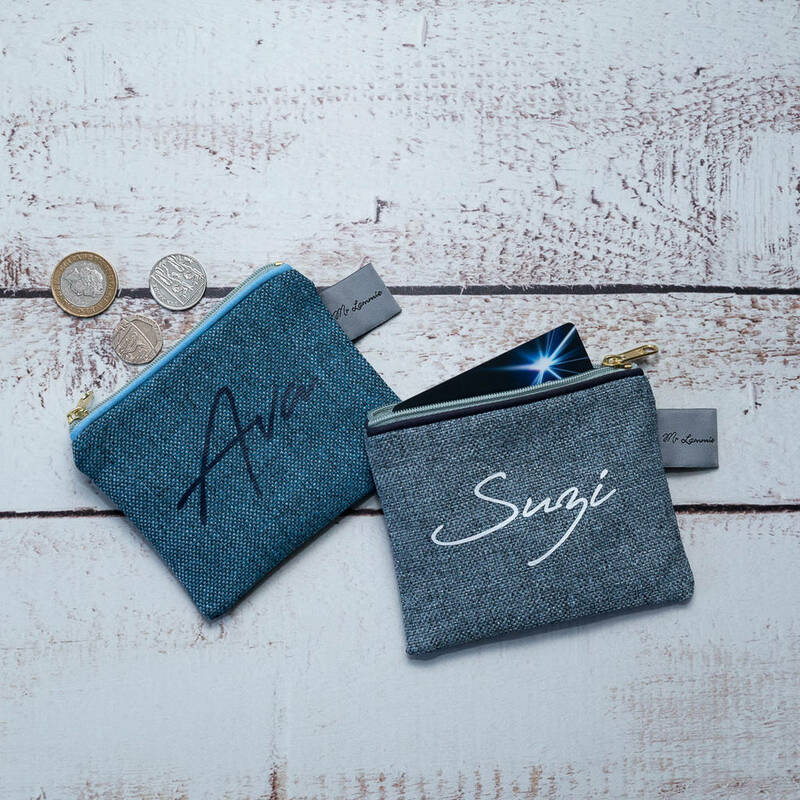 Our coin purses are just great for holding loose change, notes and bank cards whilst on the go. 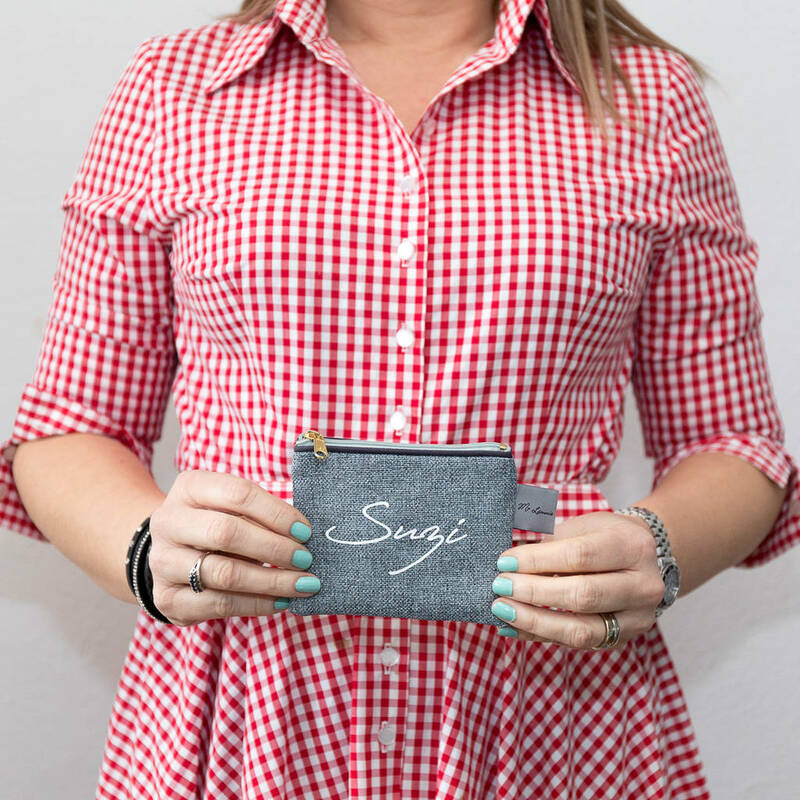 They can also be used for holding, keys, and other precious little items. 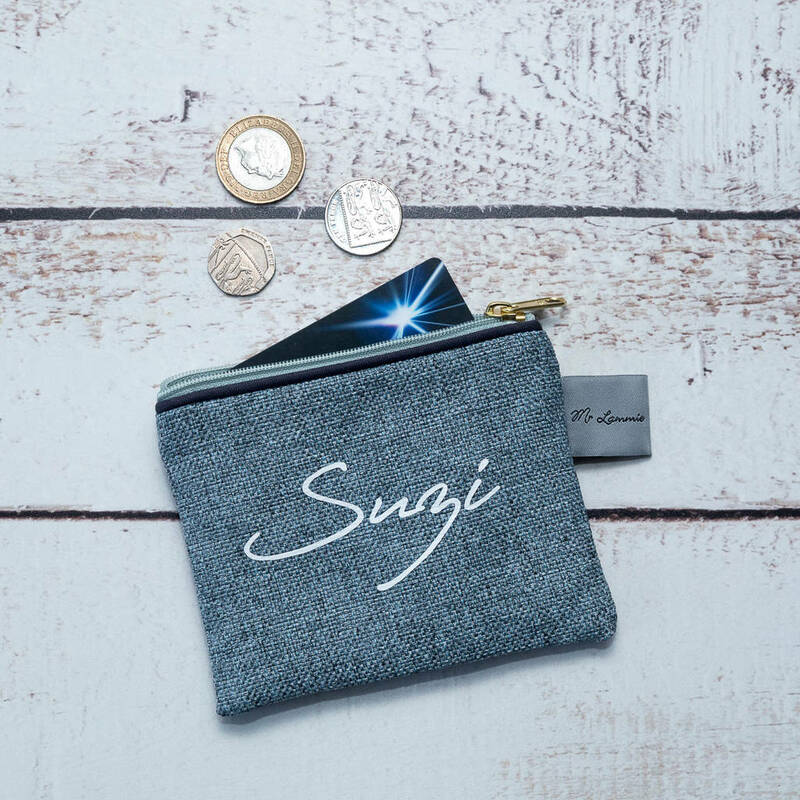 This purse comes personalised with a name of your choice. Choose from Navy, White or Living Coral Text. The fabric has a great handle and texture. 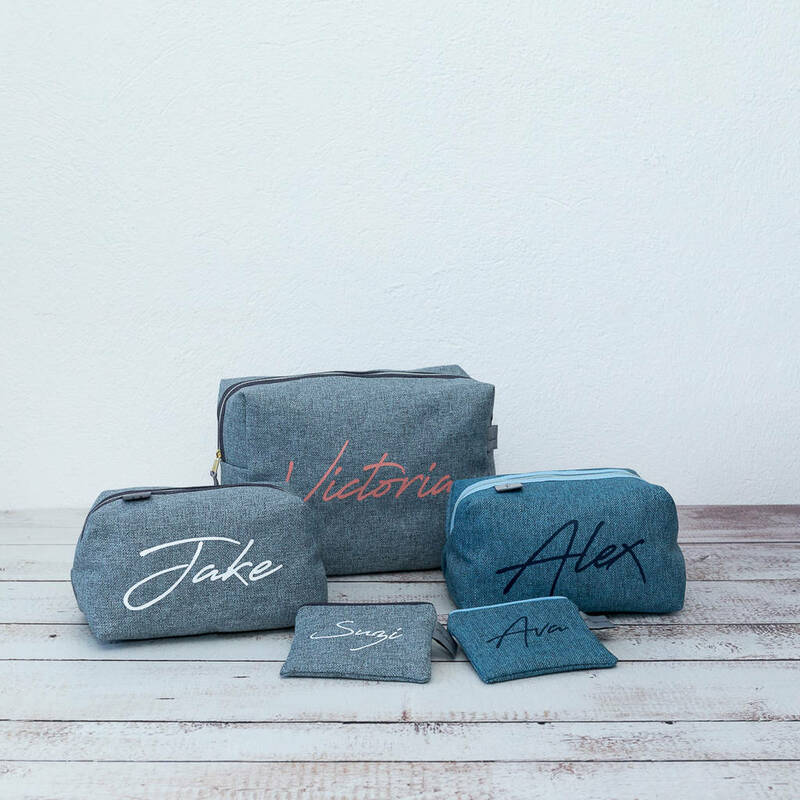 They make wonderful little token gifts for friends or family with that extra special touch of personalisation. If you're all about loooking after our planet this item is definitely for you! Eco friendly and sustainable.